Are you looking for the perfect holiday gift for the reader in your life? There’s no shortage of book-ish gifts out there – from book journals and literary-themed coffee mugs to e-readers and, of course, books. But what readers want most cannot be wrapped up and tie with a bow. Don’t get me wrong – I can’t get enough beautiful bookmarks, and there aren’t many material possessions I prize over my physical books (or literary-themed coffee mugs, to be honest). But there are a couple things I guarantee that every reader wants more than they want another book. The first is what we all want more of – time to do what we love. Readers, specifically, want more time to read. Time to make a dent in their TBR (to-be-read) list. Time to get lost in a compelling story. Time to be that person they envy from the coffee shop line, the one sitting on the lounge-y chair in the corner with their mug in one hand and a novel in the other. You know that person. The one who’s not questioning their decision to indulge on a coffee in middle of their errands, who’s not at the coffee shop catching up on email or scrounging to get a paper done, who’s not working on anything. The person who is simply reading. That is who the reader on your Christmas list wants to be. Surprise them with reading time: Invite your reader person to coffee at one of their favorite spots…and ditch them. Pick them up from their house and make sure they bring their current read with them (you may have to get creative there or, okay, you can gift them a new book). Drop them off at the coffee shop with their book and tell them you’ll be back in a couple hours! Do their chores: When your spouse goes to do something routine, like start laundry or head to the grocery store, tell them to get lost and go read. You’ll take care of the chore this week and they’ll spend that time reading. If you must, lock them out of the house with only their book. Give a reading upgrade: If you want to get really fancy, book your reader friend a getaway reading retreat. Reserve them a stay at a nice resort and make sure all they take with them is a book, or maybe two. It doesn’t get much better than having time to simply read, but there’s one other thing readers might crave more than a new book. 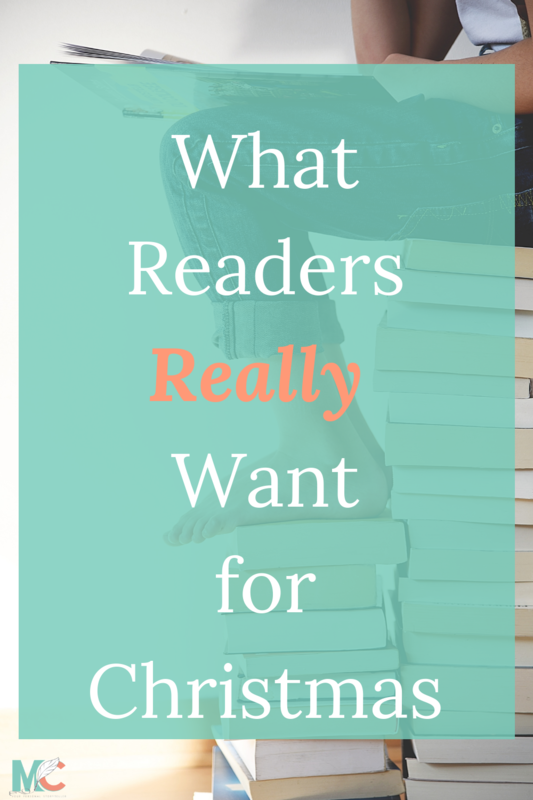 Readers want to talk to people about their favorite books, about books they hated, about what the ending meant, about the author’s real intentions. But again, real things like connections can’t be unwrapped and placed on a shelf, so how the heck do you gift this? Scope out book clubs: I’m all for in-person book clubs, but if your reader person is also stretched for time, they probably wouldn’t mind something a little more convenient. Enter, the online book club. Gift them a few month’s worths subscription to the Modern Mrs. Darcy book club (I’m a member and I love it!) or direct them to Reese Witherspoon’s book club. Scope out author signings/visits: Seeing your favorite author in person is a magical experience. Seriously, it’s like a rock concert for readers. 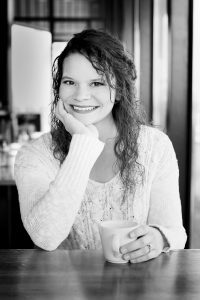 Find out what writers the reader in your life truly loves, and a quick Google search will tell you if they have any book tours coming up. Subscribe them to book-related podcasts: Your reader friend might be delighted to know there’s a whole world of book-ish nerds like her that exist in the audio world (I sure was). A few of my favorites to point them to are What Should I Read Next, Literary Disco and By The Book. Friends, if you really want to spoil the reader in your life this Christmas, give them the gift of undivided reading time or connections with the best reader friends they haven’t met yet.